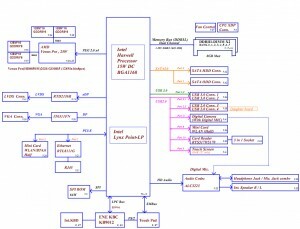 The motherboard schematic for Dell Latitude E7470 laptop/notebook, Beaver Creek 14″ UMA, Compal AAZ60 LA-C461P Schematic Document. 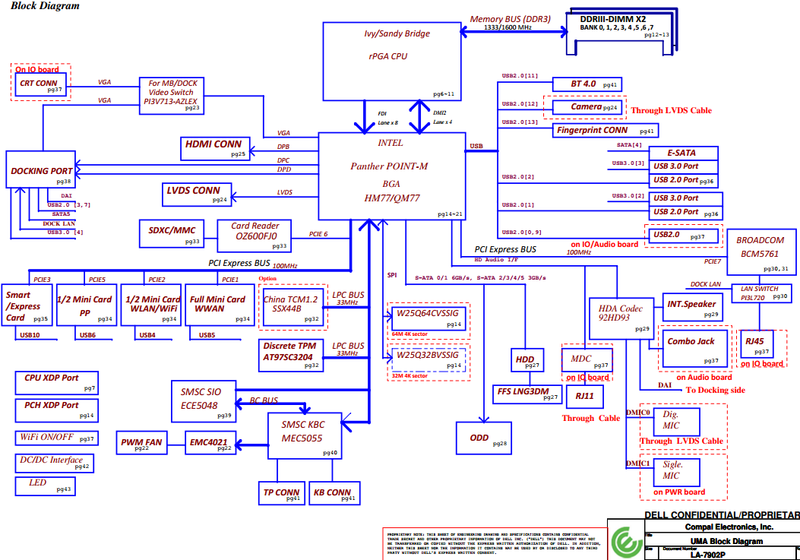 The motherboard schematic for Dell Latitude E5430 laptop/notebook, Korbel14 UMA, Ivy Bridge + Panther POINT(QM77w/Vpro), Compal LA-7903P. 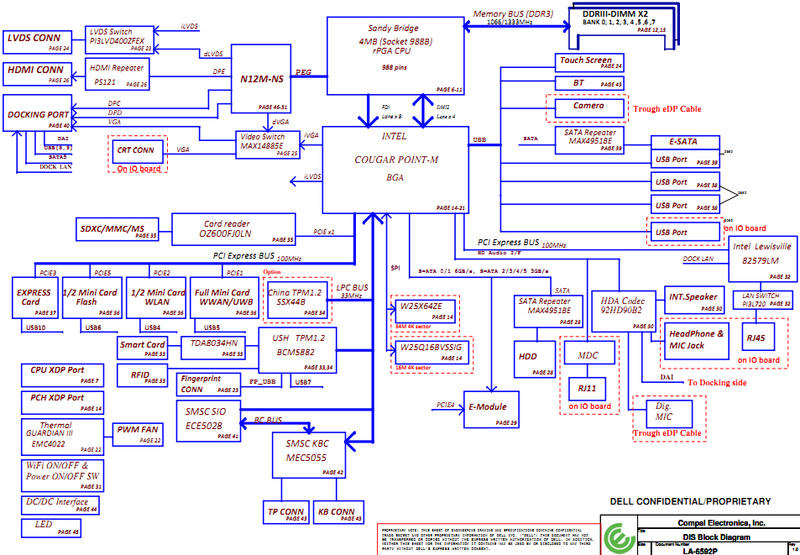 The motherboard schematic for Dell Latitude E7240 laptop/notebook, DAA00005Z10, Goliad 12″, Compal VAZ50 LA-9431P. 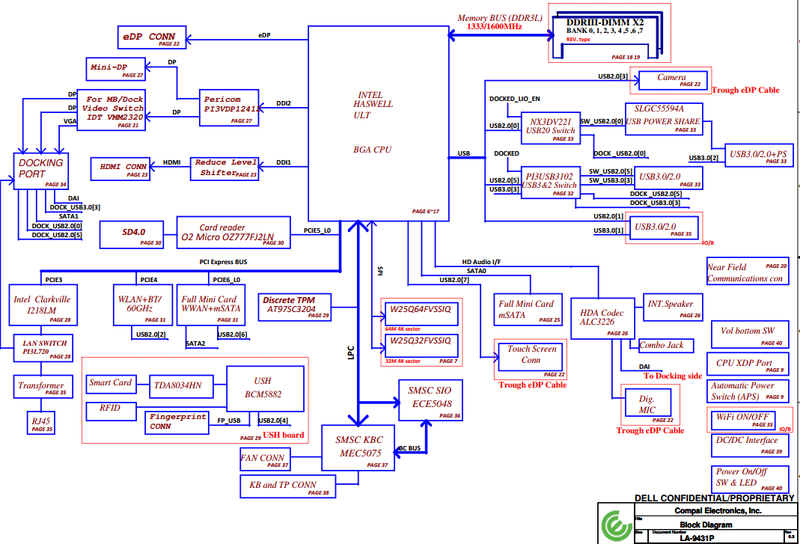 The motherboard schematic for Dell Latitude E5530 laptop/notebook, DA60000PV00, Korbel 15 UMA, Compal LA-7902P QXW10. 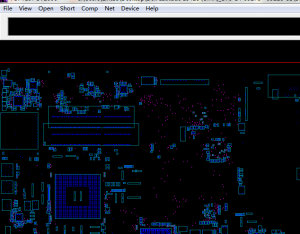 Ivy/Sandy Bridge + Panther POINT(HM77 w/o Vpro,/QM77 w/Vpro). 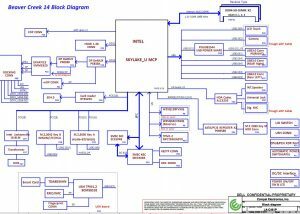 The motherboard schematic for Dell Latitude 3540 laptop/notebook, ZAL00 Mainboard, Compal LA-A491P. 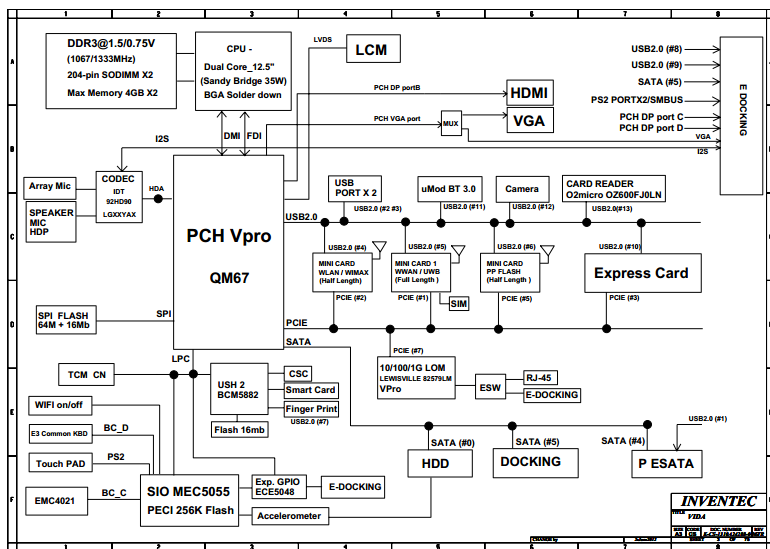 The motherboard schematic for Dell Latitude E6220 laptop/notebook, Inventec VIDA 6050A2428801 Mainboard. 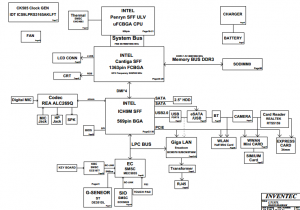 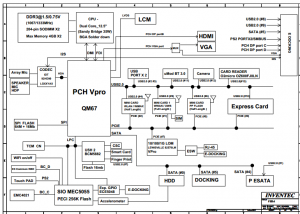 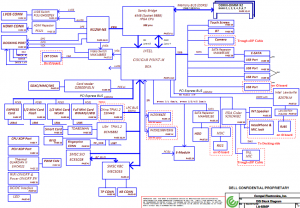 The motherboard schematic diagram for Dell Latitude 13 laptop/notebook, INVENTEC LT13TL MB. 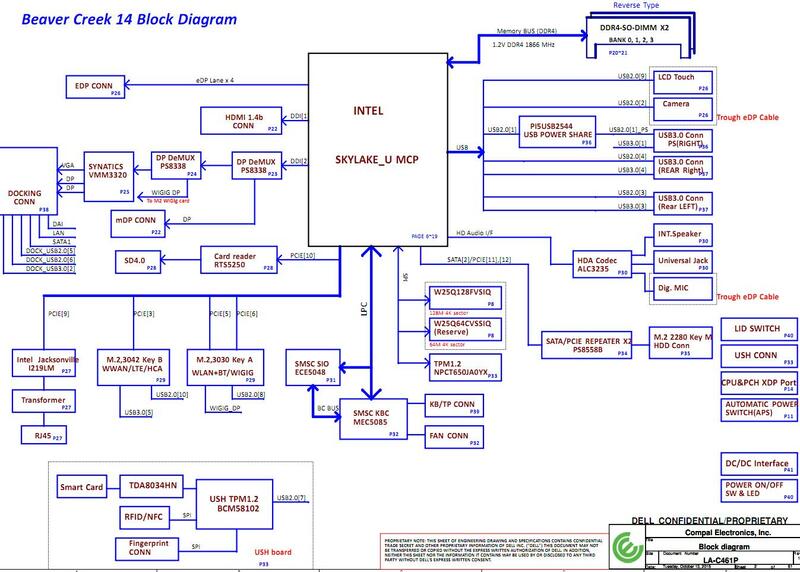 The motherboard schematic for Dell Latitude E6430 laptop/notebook, QAL81 Mainboard, Compal LA-7782P. 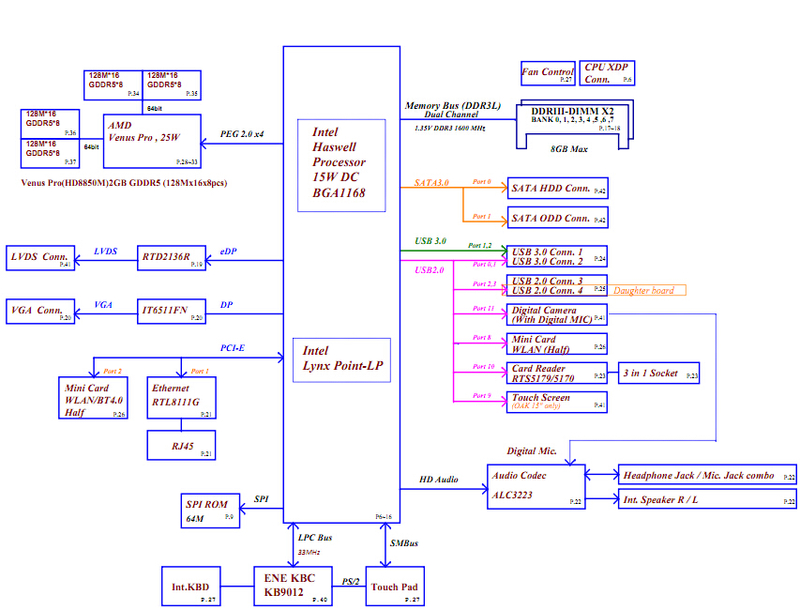 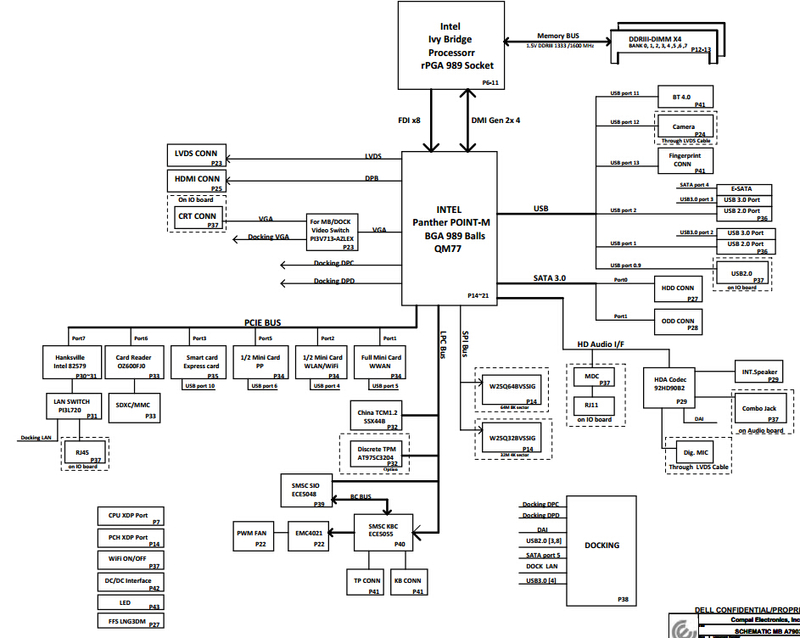 The schematic diagram for Dell Latitude E6420 (Discrete) notebook/laptop, PAL51/53 Mainboard, Compal LA-6592P. 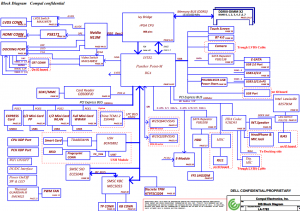 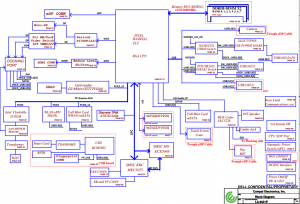 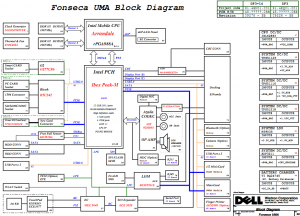 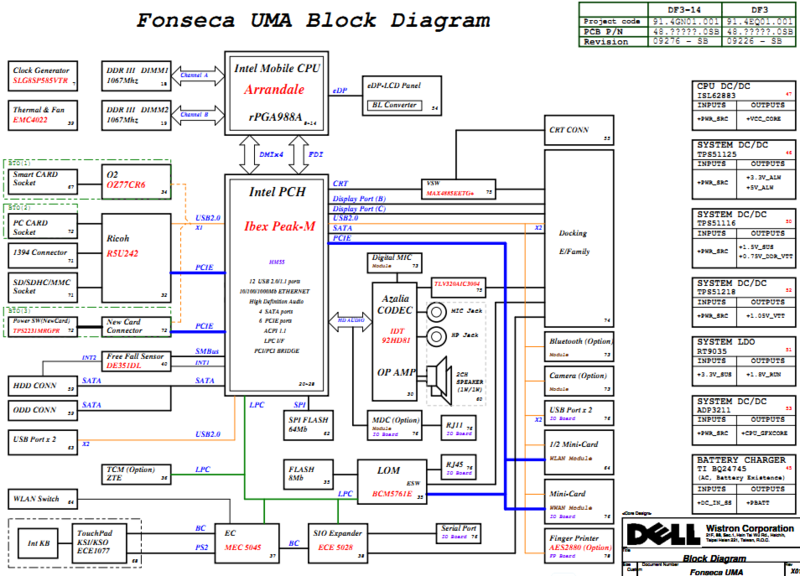 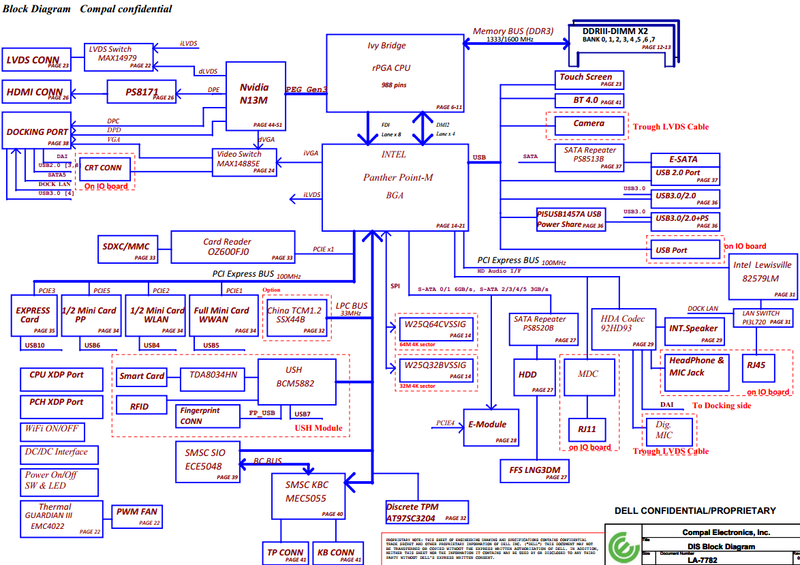 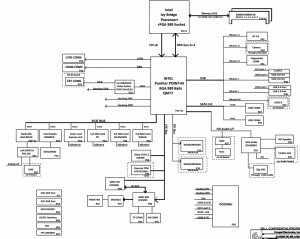 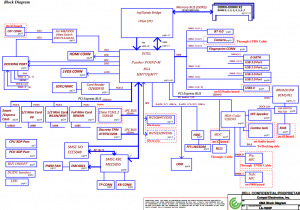 The schematic diagram and Boardview(.brd) for Dell Latitude E5410 (UMA) notebook/laptop, Fonseca UMA Schematics Document, DF3-14 & DF3-14D, 09675 – SB & 09676 – SB.